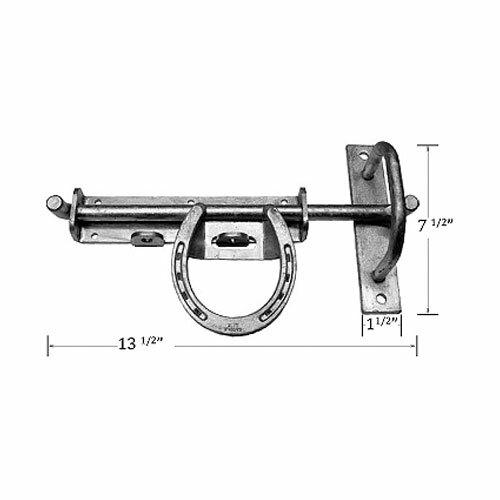 Aesthetically pleasing and functional, this locking style horseshoe latch is compatible with sliding stall doors or hinged doors. 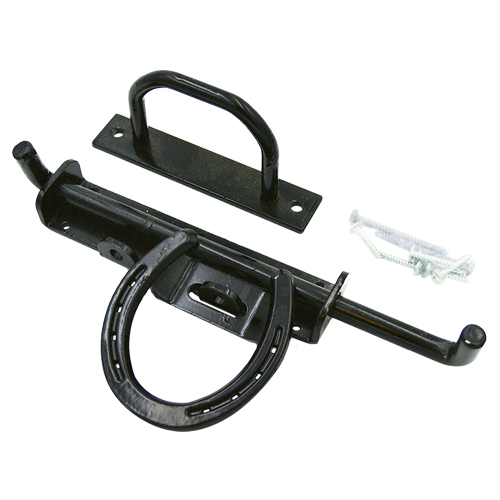 It's not compatible on a dutch door or flush-close door. 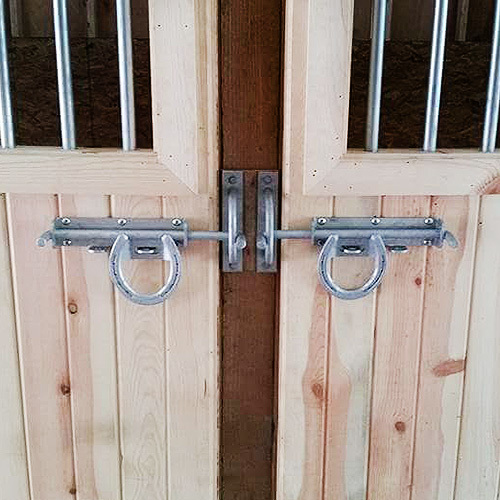 Aesthetically pleasing and functional, this locking style horseshoe latch is compatible with sliding stall doors or hinged doors (when the appropriate catch is used). *Note: It's not compatible on a dutch door or flush-close door. 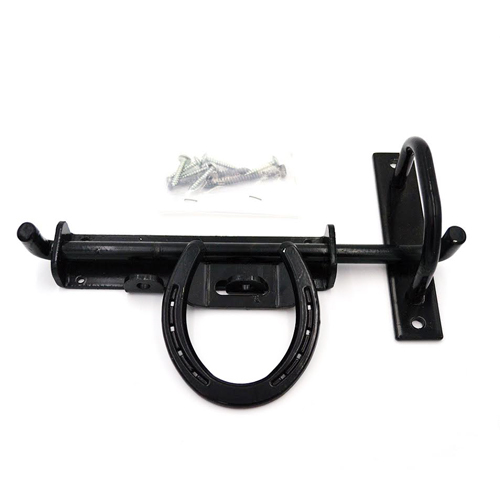 Dimensions: 13½" x 7½" x 1½"
Shipping: This item ships through UPS.